The FP-XMLPAB is a low profile alternative for mounting larger flat panel displays. 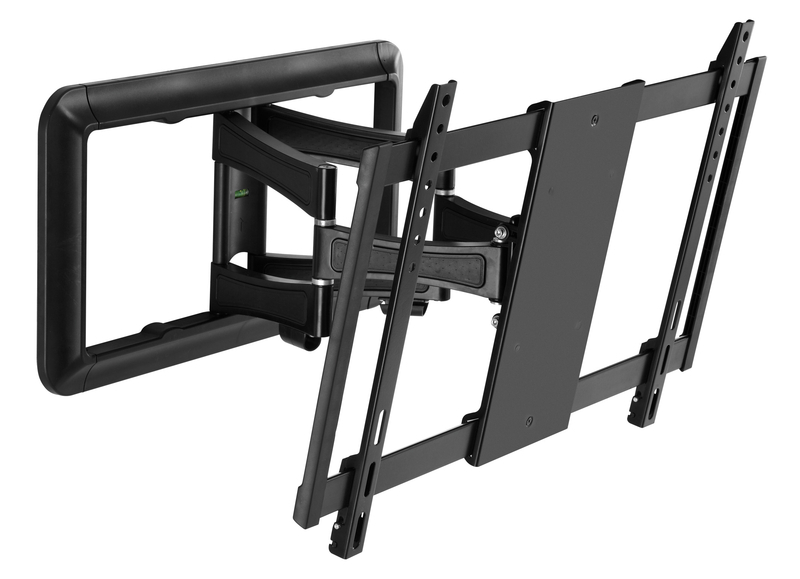 With a closed depth of 1.5" and a fully opened extension of 16.2" along with a fully adjustable 15° tilt, 3° list adjustment and ± 45° of rotation, you can get your flat panel to the optimal viewing angle you need for any room. For added safety and security, the mounting rails accept padlocks for your peace of mind. All this and more makes the FP-XMLPAB the right choice for all of your 32" to 52" flat panel mounting needs.